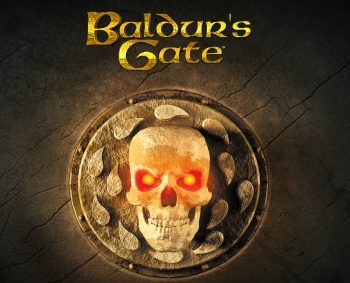 The "contractual issues" have also impeded the launch of Baldur's Gate II: Enhanced Edition. Baldur's Gate: Enhanced Edition is, or at least, was, a loving tune-up of BioWare's groundbreaking RPG, with visual enhancements, bug fixes and new content from developer Overhaul Games. It was available for both PC and iOS platforms, with an Android version in the pipe. Unfortunately, it looks like Overhaul has fallen into some legal troubles, resulting in the game being pulled from both its PC and Apple stores, and progress on the Android version as well as the upcoming Baldur's Gate II: Enhanced Edition halted. If you have already purchased the game on either of the stores, you will still be able download and play it. Oster is unable to divulge further details on the legal situation, but states that Overhaul is extremely unhappy with the situation and is doing its best to work past it. He is unable to offer an ETA on when (or if) Baldur's Gate: Enhanced Edition will go back on sale.